She is 26 years young, 164 centimeters tall and loves to race down snow covered mountains with more than 100 kilometers per hour. Alexandra Coletti, professional skier from Monaco and flag bearer for her country during the last Olympic Winter Games in Vancouver (Canada) likes it speedy. However, the slopes in international competitions are all but harmless – that’s what the many falls during the games again revealed. Apart from the knees the spine is specifically at risk. Also in Canada it happened: Alexandra Coletti fell, sprained her lumbar spine and a disk slipped - leading to severe pain. Normally that would have meant a break of several months for the athlete. A conventional “open” surgery for the removal of so called disk prolapses is a complicated surgical intervention with long recovery times. As Alexandra Coletti didn’t want to miss her crucial summer training which would have meant a serious setback for her, she looked for alternatives. “Friends told me about a German physician, who practices a much more tissue-preserving technique. 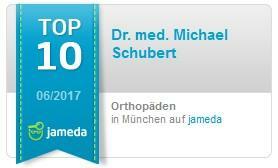 That’s where I went.” This German physician is Dr. Michael Schubert from the APEX SPINE Center in Munich. Since several years he is one of the leading physicians in Europe with regard to the further development and the practical application of minimally invasive spine surgery. Dr. Schubert successfully has carried out more than 4000 of those innovative disk surgeries since 2003. 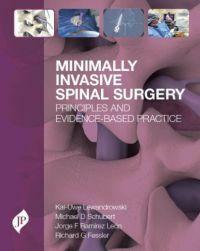 The advantages are obvious: Dr. Schubert: “a conventional surgery is usually carried out under general anesthesia. The physician will completely lay bare the spine over a length of 8 to 10 centimeters in order to reach the prolapse. With our technique only a small incision of about 5 millimeters is necessary. The intervention is carried out under local anesthesia and hence all risks associated with general anesthesia are completely prevented. With the minute instruments that have been further developed by Dr. Schubert himself, the herniated disk material can be removed in a most tissue-preventing way. The minimally invasive technique has now been further perfected: Dr. Schubert is able to use it also for disk herniations in the cervical spine – the most delicate region of the vertebral column. 550 neck patients could benefit from his procedure up to now. In Germany about 30 000 people are being operated on slipped disks every year, most of them in the lumbar spine. Missed work days, long rehabilitation programs and relapses cause considerable socio-economic damage; direct and indirect healthcare costs amount to hundreds of millions of Euros. Apart from that, the pain and movement restrictions are hardly bearable for those who suffer. Dr. Schubert can do something about that with his percutaneous disk surgery. As a matter of course, the relatively short intervention of about 30 to 45 minutes is available not only for professional athletes; members of the German statutory health care will be given all necessary medical certificates and evaluations for their insurance company.